Drawn to the field of art by her desire to share her passions with others, Mary A. Zahner parlays more than five decades of professional excellence to her position as a professor emerita at the University of Dayton. She has held the title since 2008, when she retired from the institution as a full professor. Previously, Dr. Zahner served the school as an instructor of art, an assistant professor, and an associate professor, dating back to 1971. She also accrued experience as a teaching assistant at Ohio State University, instructor and chairman of the art department at Dover High School, instructor of art at Logan High School, and instructor of art at Springfield Township Schools. In addition to her positions at academic institutions, Dr. Zahner enjoyed using her expertise for the benefit of her community. Notably, she was part of the executive board of the both the Oxford Round Table in Education in England in 2004 and the Western Regional Professional Development Center from 1996 to 2004. She has held memberships on the advisory committee on teacher preparation programs at the Ohio Department Education, and was a member of the arts series committee and the faculty rights, governance and service committee at the University of Dayton. Dr. Zahner has also been a large supporter of art councils throughout Ohio. 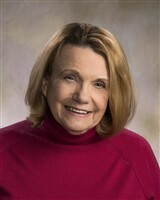 She has been a member -at-large of the education committee at Culture Works: Arts and Culture Alliance in Miami Valley, coordinator of the Third Congressional District Art Competition sponsored by Rep. Tony P. Hall in Dayton, member of the discretionary support committee of the Miami Valley Arts Council, and secretary of the Kettering Arts Council. In keeping up to date with the happenings in her field, Dr. Zahner is a member of the Organization of Educational Historians, Dayton Society Painters and Sculptors, and the National Art Education Association. She completed her education at Ohio University, where she earned a Bachelor of Fine Arts in 1960, a Master of Arts in 1969, and a PhD in 1987. She is a fellow at the Ohio Art Education Association. As a testament to her achievements, Dr. Zahner has received the Institute Faculty Award from the Ohio Partnership for Visual Arts in 1989, Best of Show Award from the Canton Art Institute in 1969, the Outstanding Art Teacher, and the Higher Education Division Award. She was featured in multiple issues of Who’s Who in America, Who’s Who in American Education, Who’s Who in the World, and Who’s Who of American Women.